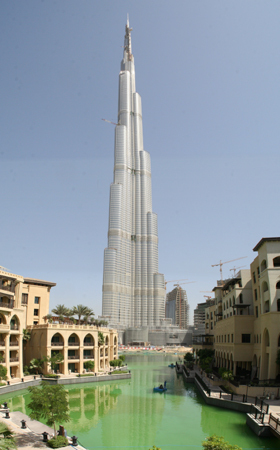 If you’ve seen Tom Cruise’s death-defying stunts in “Mission Impossible 4: Ghost Protocol”, then you know that Burj Khalifa in Dubai is the tallest building in the world. At 2,723 feet tall — almost two times the size of Chicago’s Willis Tower (1,451 feet) — the skyscraper was created by the government to shift Dubai’s economic focus from oil, give it casino an internationally-recognizable online casino symbol and attract Australian tourists. In addition to corporate suites, a restaurant and a 124th-floor observation deck, Burj Khalifa houses the Armani Hotel Dubai in its bottom 39 floors, consisting of 160 guest rooms and suites and 144 residences. Read more about Burj Khalifa on GAYOT.com. 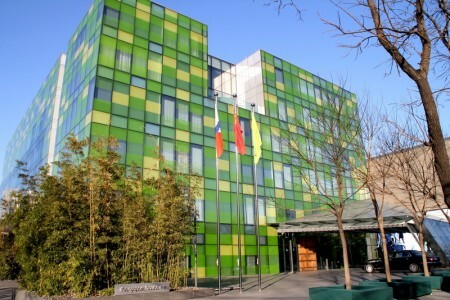 The Swire Hotel Group’s Beijing hotel The Opposite House is a totally cool and modern, progressive place to stay while in the Chinese capital. It has a stainless steel-lined lap pool, a few restaurants and an inviting lobby called The Living Room. Excellent shopping is nearby. See more pictures of The Opposite House Beijing in our photo gallery.